The Beatles' "White Album" turns 50. We’ll return to Abbey Road. NPR: "How The Beatles Made 'The White Album'" — "Fifty years ago, just before the holidays in 1968, The Beatles put out not just a new album, but a double album, something relatively unheard of at the time. The album art was a stark, white, glossy cover with raised, slanted lettering that simply said, 'The Beatles.' That self-titled album, with its 30 songs that span genres from American country music to avant-garde tape collage, has come to be known as 'The White Album.' And in celebration of its birth 50 years ago, The Beatles label Apple Records has scoured the archives for a new deluxe edition of the album that, for the first time, includes previously unreleased, early demo recordings, studio outtakes and stunning remixes in both stereo and 5.1 surround." Forbes: "The Beatles' 'White Album' Returns To The Charts Behind Magnificent 50th Anniversary Reissue" — "Ob-La-Di, Ob-La-Da, indeed. The Beatles White Album returned this week to the top 10 on Billboard’s all-genre album sales chart. "The 30-song double album that brought the world 'While My Guitar Gently Weeps' and 'Blackbird' landed at No. 6 on the Billboard 200 following a 50th anniversary reissue that hit shelves and streaming services Nov. 9. In returning to the charts, Billboard reports the album moved 63,000 units, with 52,000 coming from physical sales. "It’s the highest charting week from the White Album since March 29, 1969, when the release appeared at No. 5. The record, officially titled The Beatles, spent nine nonconsecutive weeks at No. 1 between Dec. 1968 and March 1969." 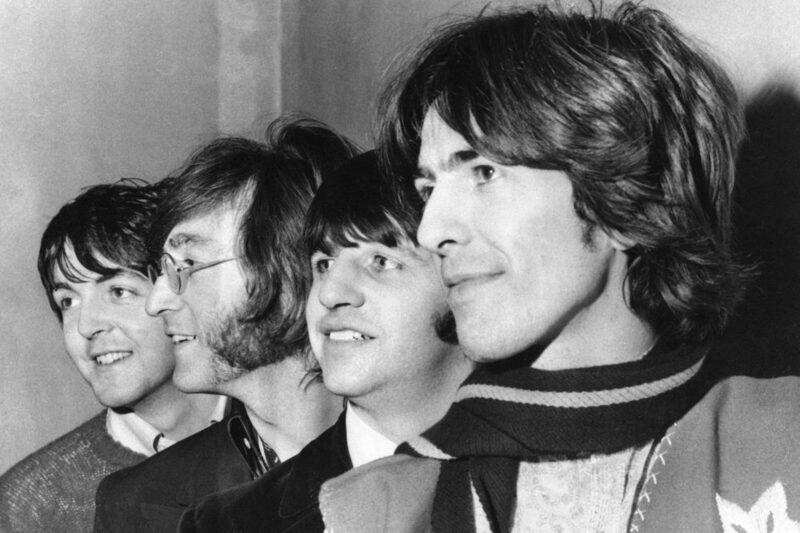 Rolling Stone: "‘The Beatles (White Album) Super Deluxe’ Is a Revelatory Dive Into Their Frayed Late-Sixties Drama" — "In late May, 1968, the Beatles convened at guitarist George Harrison’s English country home with an extraordinary body of raw materials for their next album. The so-called 'Esher demos' — 27 songs taped on Harrison’s four-track machine — were at once stark and full, solo acoustic blueprints already outfitted with signature flourishes: double-tracked vocals; John Lennon’s raindrop-arpeggio guitar in 'Dear Prudence'; the future guitar solo in 'Back in the U.S.S.R.,' hummed by Paul McCartney. "There was evidence too of tension and estrangement: Lennon’s jagged rhythms and aggressive cynicism ('Revolution,' 'Yer Blues'); McCartney’s determined optimism ('Blackbird') and almost mutinous cheer ('Ob-La-Di, Ob-La-Da'). In his Appalachian-ballad draft of 'While My Guitar Gently Weeps,' Harrison pointedly censured his bandmates, singing 'The problems you sow are the troubles you’re reaping.' He dropped the line in the final version. His dismay in the song remained. "Those recordings, issued in full for the first time, are the dominant revelation in the 50th-anniversary expansion of The Beatles. At 30 tracks on two LPs and dubbed 'The White Album' for its blank-canvas sleeve, it was the group’s longest, most eclectic and emotionally blunt record – an admission of frayed nerves and strained bonds in the zigzag of garage-roots rock, delicate balladry, proto-metal fury, country ham and radical experiment. The 'Super Deluxe' edition of The Beatles has even more. In addition to the demos and a new remix of the album overseen by Giles Martin, son of the late producer George Martin, there are 50 tracks of the work in progress – outtakes and sketches; roads not taken and songs left behind – across the summer and fall of 1968." 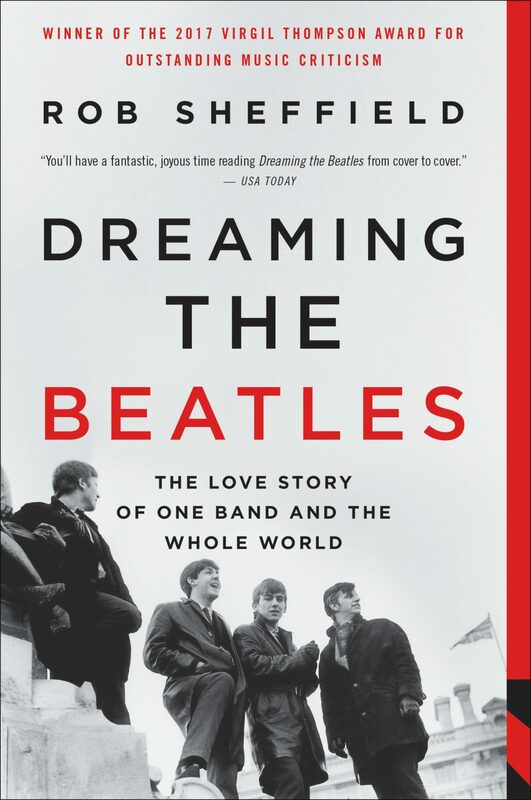 "Dreaming the Beatles" by Rob Sheffield. Rolling Stone: "Ringo Starr Talks New Photo Book, Tour and ‘Sensational’ White Album Remaster" — "Ringo Starr is having a big moment. Pushing 80, the Beatle drummer shows no signs of slowing down. Thanks to the revelatory new Super Deluxe edition of the White Album, his legend is getting a boost. Fans can savor new dimensions to his playing on the 1968 masterpiece, in the definitive new mix from Giles Martin — finally, we can hear Ringo rock out on 'Long, Long, Long' in all his glory. It proves what true fans have always known — he was the heartbeat of the Beatles. "But Ringo’s moving forward. The 78-year-old mocker who sang 'Photograph' has a new coffee-table book of photos, Another Day in the Life. The book follows Ringo’s adventures around the world, dating back to his Fabs days — as he says, 'photos by me and a few picked up along the way.' (Like the man says in A Hard Day’s Night, you can learn from books.) There’s a foreword from David Lynch, calling it 'Ringoism in book form,' as well as Ringo’s own unique commentary, like when he reflects on the cover of Abbey Road: 'We were sitting in the studio thinking, "We need a cover, let’s go to Hawaii! Let’s go to Egypt! Oh, sod it, let’s just walk across the road."' "
From DREAMING THE BEATLES by Rob Sheffield, published by Dey Street Books. Copyright © 2017 by Rob Sheffield. Reprinted courtesy of HarperCollins Publishers. 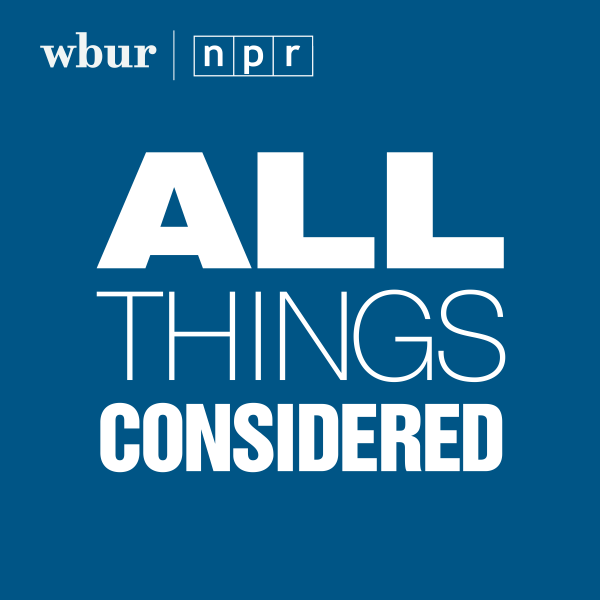 This program aired on November 28, 2018.